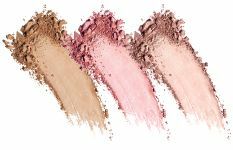 Beautiful skin is all about light, a beautiful warmth and a naturally pretty flush of pink to your cheeks. They’re products you’ll use every day and love, all in one palette! A 3-in-1 powerhouse palette with matte bronzer, radiance luminizer and brightening blush stain for your naturally pretty look of vitality! IT Cosmetics is developed with plastic surgeons, and this 3-in-1 palette is designed to give you everything you need for the naturally pretty look of vitality! While the matte bronzer warms your complexion, the luminizer adds subtle radiance and the blush restores your natural flush of color. The formulas are enriched with hydrolyzed collagen, silk and peptides. All three products in the palette work together to give you beautiful-looking skin! Hydrolyzed collagen, silk and peptides! Radiance Luminizer: MICA, DIMETHICONE, MAGNESIUM STEARATE, PHENOXYETHANOL, TOCOPHERYL ACETATE, RETINYL PALMITATE, TOCOPHEROL, MAGNESIUM ASCORBYL PHOSPHATE, HYDROLYZED SILK, HYDROLYZED COLLAGEN, GLYCERIN, AQUA/WATER/EAU, EUTERPE OLERACEA FRUIT EXTRACT, BUTYLENE GLYCOL, CHOLESTERYL OLEYL CARBONATE, CHOLESTERYL NONANOATE, CHOLESTERYL CHLORIDE, PALMITOYL OLIGOPEPTIDE, PALMITOYL TETRAPEPTIDE-7, CARBOMER, POLYSORBATE 20, VITIS VINIFERA (GRAPE) SEED EXTRACT, ALOE BARBADENSIS LEAF EXTRACT, HYALURONIC ACID, CAMELLIA SINENSIS LEAF EXTRACT, TITANIUM DIOXIDE (CI 77891), IRON OXIDES (CI 77499, CI 77492, CI 77491), ULTRAMARINES (CI 77007), RED 7 LAKE (CI 15850), RED 6 (CI 15850). Anti-Aging Matte Bronzer & Brightening Blush: MICA, DIMETHICONE, MAGNESIUM STEARATE, PHENOXYETHANOL, TOCOPHERYL ACETATE, RETINYL PALMITATE, TOCOPHEROL, MAGNESIUM ASCORBYL PHOSPHATE, HYDROLYZED SILK, HYDROLYZED COLLAGEN, GLYCERIN, AQUA/WATER/EAU, EUTERPE OLERACEA FRUIT EXTRACT, BUTYLENE GLYCOL, CHOLESTERYL OLEYL CARBONATE, CHOLESTERYL NONANOATE, CHOLESTERYL CHLORIDE, PALMITOYL OLIGOPEPTIDE, PALMITOYL TETRAPEPTIDE-7, VITIS VINIFERA (GRAPE) SEED EXTRACT, ALOE BARBADENSIS LEAF EXTRACT, HYALURONIC ACID, CAMELLIA SINENSIS LEAF EXTRACT, [+/-: TITANIUM DIOXIDE (CI 77891), IRON OXIDES (CI 77499, CI 77492, CI 77491), ULTRAMARINES (CI 77007), RED 7 LAKE (CI 15850), RED 6 (CI 15850)]. Your Most Beautiful You Matte Bronzer, Radiance Luminizer & Brightening Blush Palette is rated 4.7 out of 5 by 118. Rated 5 out of 5 by mdp71 from This does it all! I just love this pallet...I bought this a few months ago...I had one that lasted for a year and took it to Italy with me mainly because you can use all three, not only on your face to contour & highlight...but you can use all three as eyeshadows. It eliminates taking separate pieces...all you need is foundation, mascara and eyeliner...and some lipgloss or lipstick...very compact with stunning results. The only thing i would suggest is making the opening a little easier by replacing the current one with an easy press button as I find myself fumbling to open it and concerned that I may drop it and break it. One easy press would help especially for people that are somewhat challenged. Rated 5 out of 5 by Dcc70 from I can’t live without this This is the second palette I have purchased and I can’t live without it. I’m fair skinned but tan easily and I must say these colours really suit my colouring. The colours complement each other so well and are so pigmented that they last all day. The matt bronzer is huge and contours beautifully and the peach blush lifts my complexion, it has a slight shimmer to it and it’s a gorgeous everyday shade. I adore the hilighter, it’s great on the high points of the face but can be lightly dusted all over for a glow that isn’t sparkly. Finally, the mirror is just huge, really useful when applying my makeup! Rated 5 out of 5 by Ungranny from A must have! I cannot believe how awesome the IT Face Disc is. I loved another popular mineral line and thought my makeup was perfect, until I tried IT. I use Prime Time from existing products, but love, love CC+ full coverage cream ANTI-AGING foundation. I dot on CC+ and use the IT brush to feather it to a natural coverage. Then I lightly apply the three products in the disc and a bit of mascara, and dust with finishing powder to "blend" and set all; wow. Application is important, people who don't get a natural, healthy, flawless look may not be applying IT product correctly, so before you give up, a little experimenting and good brushes can make all the difference. Since using IT, I am told I look younger, more healthy and vibrant...at 70 that is the best compliment ever. Rated 5 out of 5 by KatieM from Very pleased This came with my bye-bye foundation set from qvc. I am ecstatic with this product. The bronzer can be used alone as a darker blush, or paired with the blush to contour. The highlighter is the best part of the trio, and I would buy a disc this size of just the highlighter If it were offered. I use the double sided brush, that is AMAZING, that came with the kit. I will apply the trio to the face, then flip the brush over and use the trio as eye shadow. It wears so beautifully all day. A little does go a long way, as it is highly pigmented. So start small, don't dig your brush is or overload your brush. One swipe with do per cheek and eye. You can always build.